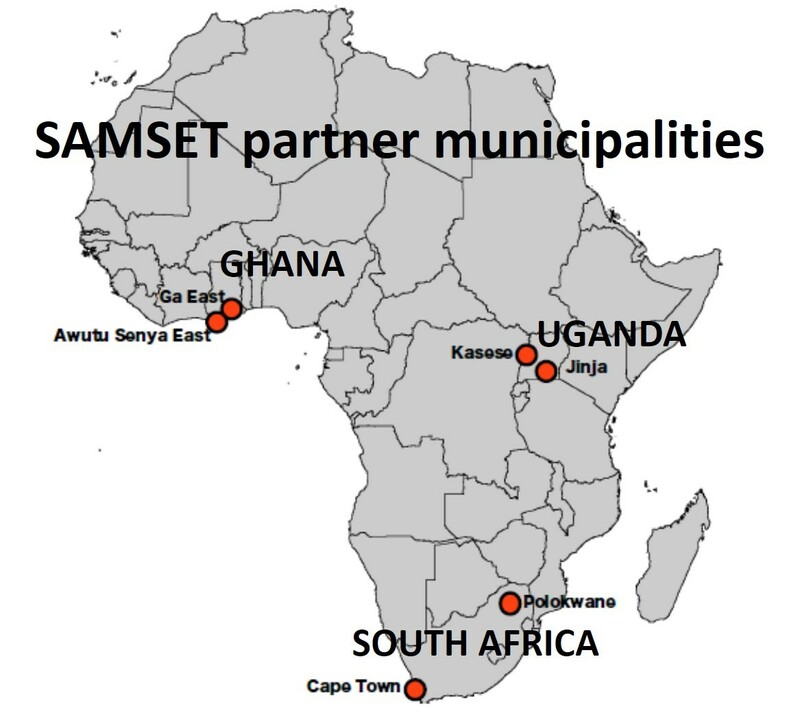 “Supporting African Municipalities in Sustainable Energy Transitions” (SAMSET) is an EPSRC/DFID/DECC-funded project (Grant No. EP/L002620/1) that seeks to develop a knowledge exchange framework for supporting local and national bodies involved in municipal energy planning in the effective transition to sustainable energy use in urban areas. Through close partnering with six cities in three African countries (Ghana, Uganda and South Africa), the project is developing an information base from which to support cities, undertake direct support for cities around strategy development and priority initiatives, and facilitate knowledge exchange and capacity building. Urbanisation rates in Africa are the highest in the world, and in most Sub Saharan countries service delivery is inadequate to keep up with the needs. African populations remain among the poorest in the world, and efforts to achieve the energy-related dimensions of the Millennium Development Goals have in most cases not had significant impact on urban populations.